Denny Jump (Bellevue, WA, United States) on 19 December 2016 in Landscape & Rural. Going back 3 years into the archives - I still can't get over the tremendous beauty we experienced in Vermont during December, 2013. We had a severe ice storm that year just before Christmas. After clearing the next day, we were treated to a golden sunset that was unbelievable. Wow, what a beautiful view! Great colours and light. Hello again, Denny ! (Rick from Toronto Canada, back after a long hiatus) This is glorious !! @Phil Morris: Thank you so much, Phil! @Devi: Thank you so very much Devi! @Steven: Hi Steven - Thank you so much! 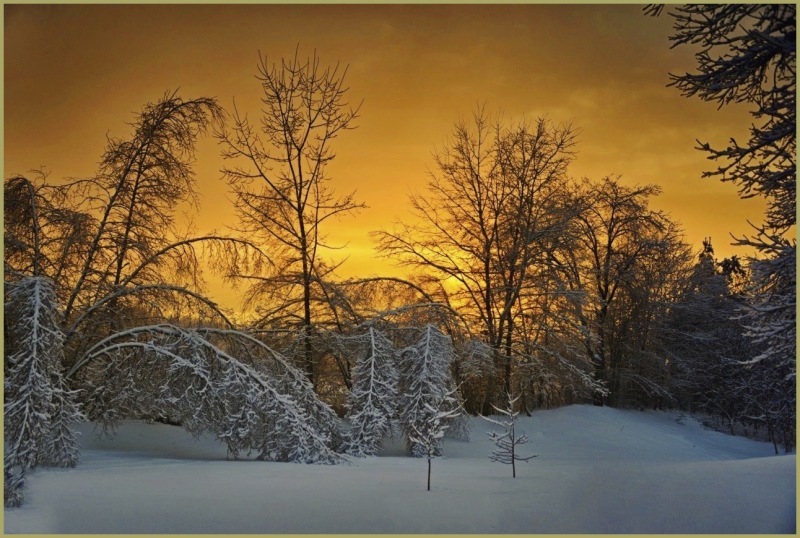 Witnessing a sunset like this on a lush white Winter's day must be spectacular. This image sure is!